According to the Centers for Disease Control and Prevention (CDC), heart disease is the leading cause of death in the United States. The CDC estimates 610,000 people in the U.S. die of heart disease each year – approximately one in every four deaths. Heart disease affects both men and women, with no regard for race or ethnicity. Deaths related to heart disease are particularly high in Georgia and the Southeast. While statistics on the deadliness of this disease are staggering, there are steps individuals may take to improve the health of their heart. 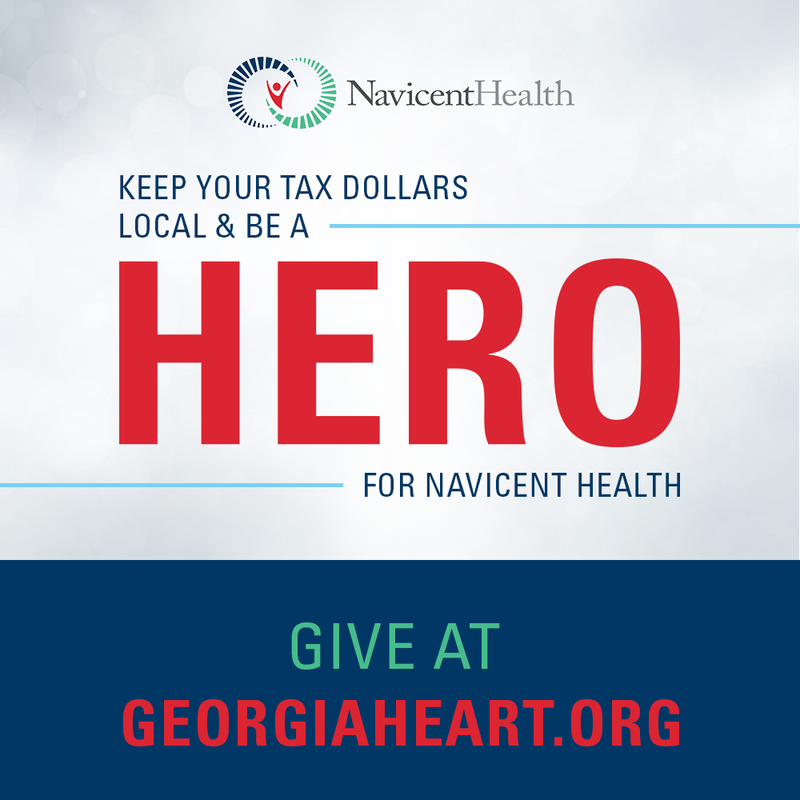 Navicent Health is dedicated to battling heart disease by giving central Georgians the tools they need to live heart healthy lives. Celebrate Heart Fest 2019 with Navicent Health during February, American Heart Month. Please RSVP to rsvp@navicenthealth.org or 478-633-4733. Free screenings include full blood lipid screening, blood pressure, body mass index, glucose and more. This educational seminar will feature Brandon Elmore, M.D. This educational seminar will feature vascular surgeon John Mix, M.D. This educational seminar will feature Erskine James, M.D. This educational seminar will feature a panel of physicians. Please call 1-800-627-2393 to register. There is a $50.00 registration fee. However, this screening is free for U.S. military veterans. Navicent Health, the leading provider of healthcare in central and south Georgia, is committed to its mission of elevating health and wellbeing through compassionate care. Licensed for 970 beds and offering care in 53 specialties at 30 facilities throughout the region, Navicent Health provides care for healthcare consumers’ through an academic medical center; community, pediatric and rehabilitation hospitals; urgent care centers; physician practices; diagnostic centers; home health; hospice and palliative care; and a life plan community. Navicent Health is dedicated enhancing health and wellness for individuals throughout the region through nationally-recognized quality care, community health initiatives and collaborative partnerships. For more information, please visit www.navicenthealth.org.